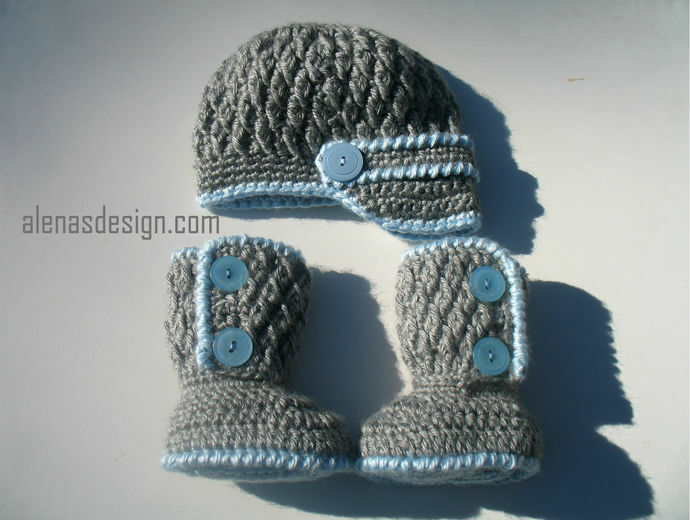 This Two-Button Baby Booties Set is a treasured garment for any baby. 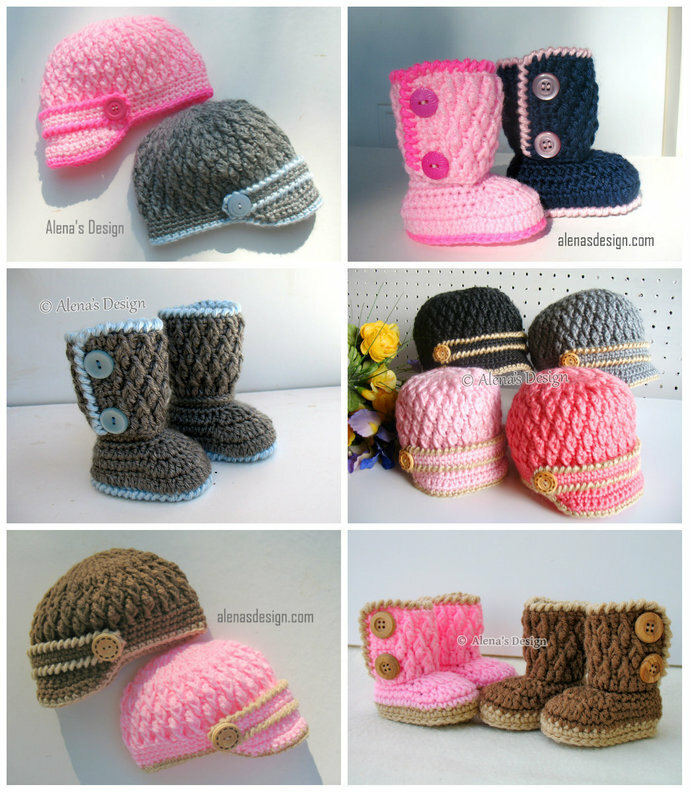 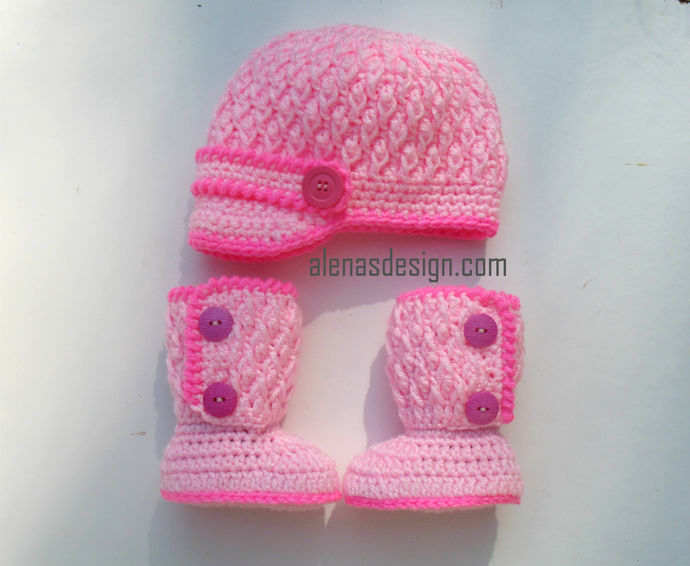 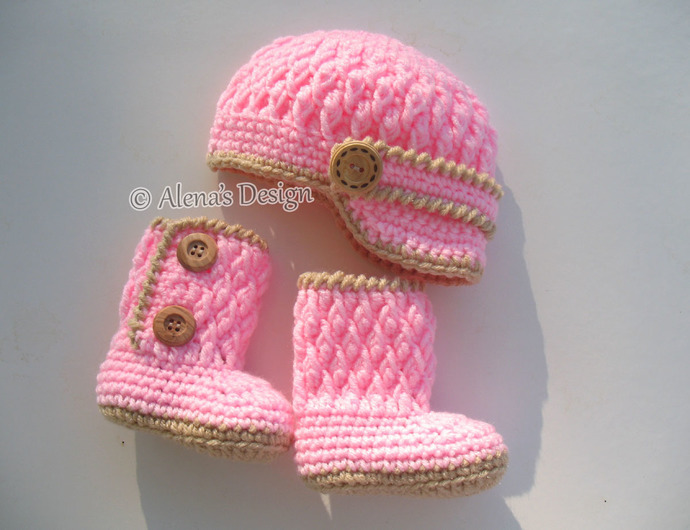 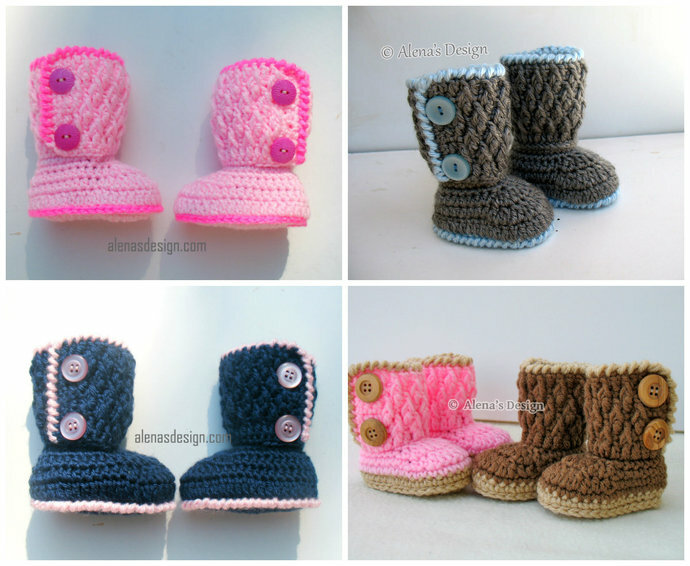 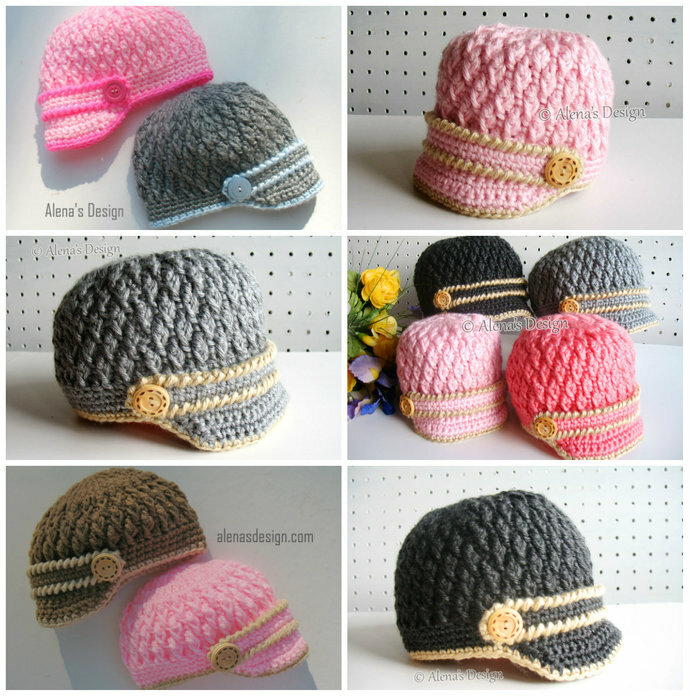 This pattern set is a primary component of my crochet set consisting of Baby Visor Hat, Booties and Jacket. 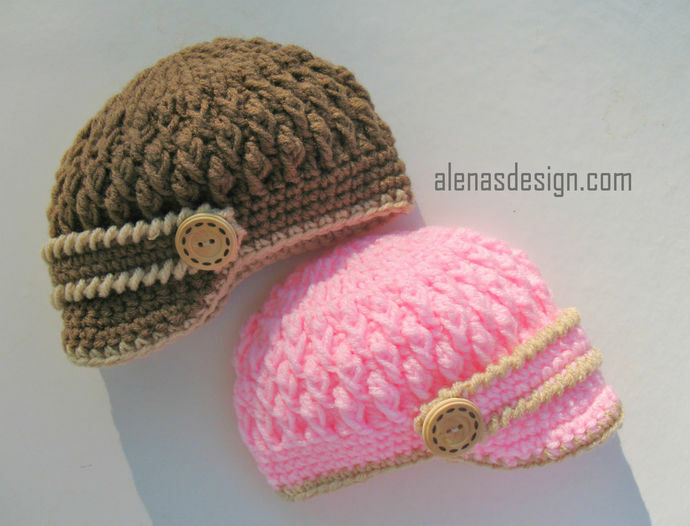 Worsted weight yarn, six buttons.